Need a quick appetizer recipe for your New Year’s Eve party? 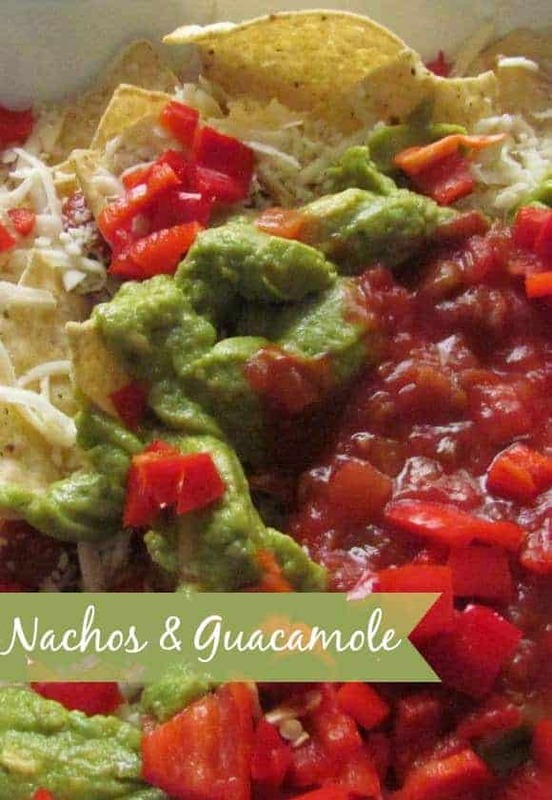 Check out this delicious nachos & guacamole recipe that takes just minutes to whip up! This post contain affiliate links. As much as I love hosting holiday parties, I don’t like spending my day in the kitchen cooking and cleaning! Who does anyways? I prefer preparing quick and easy meals, preparing quick appetizer to feed the crowds that come over! 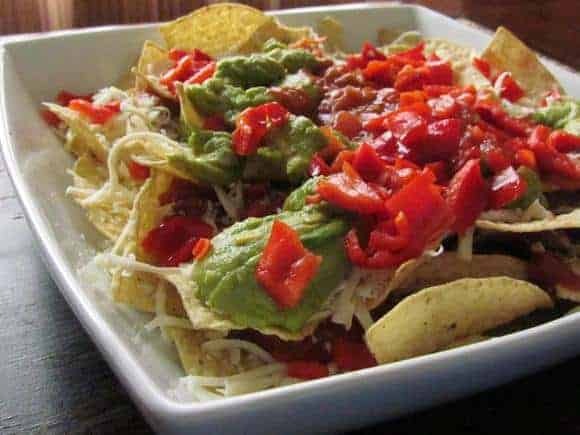 One of my favorite easy and quick appetizer recipes is Nachos with guacamole! It’s so good and everybody I know loves them! Besides, it’s my husband specialty so it’s one thing less to cook! It’s a win-win appetizer recipe for me! Ready for this? It’s so simple! Combine all the ingredients in a large bowl. Make sure it’s microwave-safe! If desired, transfer the appetizer over to a prettier, more festive bowl. That’s it! The great part about this quick appetizer recipe is that you can customize it however you want. Guests like things a bit spicier? Swap out the mild salsa for medium or hot. Want to go a bit exotic? Try lime-flavored nachos instead of the regular corn style. Set out festive plates and let your guests dig in! Keep extra supplies on hand in case you run out. Since it’s ready in just minutes, you don’t have to worry about not being able to feed all your guests. Make this delicious recipe along with some other holiday appetizers and your party will be a hit! The great thing about a party that revolves around appetizers is that you don’t have to worry about setting a huge table for a big meal. Everyone is free to mingle and enjoy each others company! Don’t forget to add a few New Year’s Eve drinks for kids too! They’ll want to be part of the festivities too! Are you planning a New Year’s Eve Party? What are your must-have appetizers? We’d love to hear from you! Ohhh yum! They look so delicious! Yum! Now I’m craving guacamole! My Mouth is watering! I love nachos and these look to die for! Thank you so much for sharing your wonderful recipe! Can’t wait to try it! One of my fav party foods! lol! One of my favorite too! I am SOOOO making this! YUMMMM! Yum! I can’t believe we are only a week away from New Years! I love nachos and this will be the perfect appetizer.